The right extensions can greatly enhance your browser's capabilities, but it's important to choose carefully. Here are five that are worth a look. First, I'd like to point out that browser extensions often require the ability to read and/or change everything on the web pages you visit. You should consider the ramifications of this very carefully. If an extension has modify access to all the web pages you visit, it could act as a key logger, intercept credit card information, track you online, insert advertisements, and perform a variety of other nefarious activities. That doesn't mean every extension will surreptitiously do these things, but you should carefully consider the installation source, the permissions involved, your risk profile, and other factors before you install any extension. Keep in mind you can use profiles to manage how an extension impacts your attack surface—for example, using a dedicated profile with no extensions to perform tasks such as online banking. With that in mind, here are five Firefox extensions that you may want to consider. Ublock Origin blocks ads and malware while enabling users to define their own content filters. uBlock Origin is a fast, low-memory, wide-spectrum blocker that not only blocks ads but also lets you enforce your own content filtering. The default behavior of uBlock Origin is to block ads, trackers, and malware sites using multiple predefined filter lists. From there it allows you to arbitrarily add lists and rules, or even lock down to a default-deny mode. In addition to being powerful, this extension has proven to be efficient and performant. Privacy Badger uses algorithms to seamlessly block ads and trackers that violate the principles of user consent. 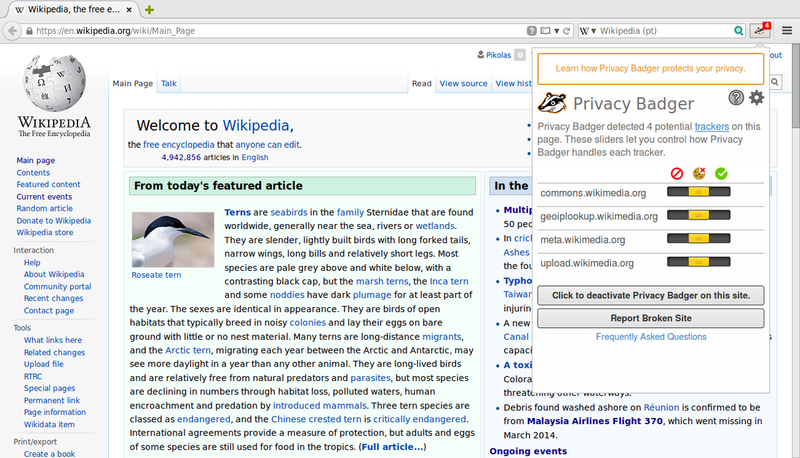 As its name indicates, Privacy Badger is a privacy-focused extension that blocks ads and third-party trackers. From the EFF: "Privacy Badger was born out of our desire to be able to recommend a single extension that would automatically analyze and block any tracker or ad that violated the principle of user consent; which could function well without any settings, knowledge, or configuration by the user; which is produced by an organization that is unambiguously working for its users rather than for advertisers; and which uses algorithmic methods to decide what is and isn't tracking." Why is Privacy Badger on this list when it may seem so similar to uBlock Origin? One reason is that it fundamentally works differently than uBlock Origin. Another is that a practice of defense in depth is a sound policy to follow. 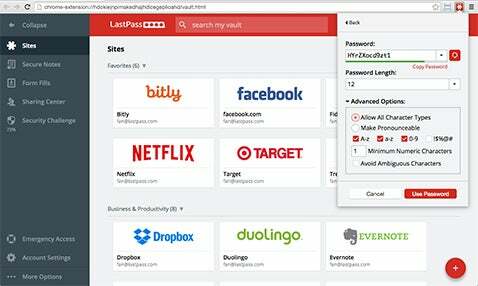 LastPass is a user-friendly password manager plugin that supports two-factor authorization. This is likely a controversial addition for many. Whether you should use a password manager at all—and if you do, whether you should choose one that has a browser plugin—is a hotly debated topic, and the answer very much depends on your personal risk profile. I'd assert that most casual computer users should use one, because it's much better than the most common alternative: using the same weak password everywhere. LastPass is user-friendly, supports two-factor authentication, and is reasonably secure. The company has had a few security incidents in the past, but it responded well and is well-funded moving forward. Keep in mind that using a password manager isn't an all-or-nothing proposition. Many users choose to use it for the majority of their passwords, while keeping a few complicated, well-constructed passwords for important sites such as banking and multi-factor authentication in their head. Awesome Screenshot Plus allows you to easily capture all or part of any web page, as well as add annotations and comments, blur sensitive information, and more. You can also share images using an optional online service. I've found this tool great for capturing parts of sites for debugging issues, discussing design, and sharing information. It's one of those tools you'll find yourself using more than you might have expected. I've found all five of these extensions useful, and I recommend them to others. That said, there are many browser extensions out there. I'm curious about which ones other Opensource.com community members currently use and recommend. Let me know in the comments. Awesome Screenshot Plus allows you to easily capture all or part of any web page. Thanks, Kyle. I keep meaning to check out Bitwarden but haven't had a chance yet. OpenSource.com has covered other open source password managers in the past (https://opensource.com/article/16/12/password-managers) but I'm guessing you evaluated those before deciding to write Bitwarden. If you're interested in writing (or co-writing) that story, let me know. Yeah, I also wanted to mention Bitwarden. I switched from LastPass to Bitwarden about 2 months ago just because the latter is open source and I'm not regretting it. It's equally good but in some areas, it's a little worse the LastPass and at some, it's better, so in overall it's as good in my opinion. Import of stored passwords and identities went mostly well (Bitwarden failed to import correctly very long passwords, like with over 30 signs but the rest was handled correctly) so transition was painless. I still like LastPass but if there is an open source replacement this is no brainer and Bitwarden is really worthy replacement. Open source users have been trained to flinch when password managers are mentioned. Well, I would flinch. Bitwarden has changed that for me. No longer flinching. Victor, excellent resources, thanks for sharing! Ublock still needs adblock plus to work on youtube. Just a small note re FTPing in Firefox. For years, I used FireFTP, - and YES donated to it's author also! But with the advent of "Quantum" FireFTP no longer worked, and the author has said he will no longer enhance it. Any suggestions or ideas regarding a FTP addon for Firefox? I don't understand, 3 of top 5 extensions have the same functions as built-in features... Perhaps you should at least explain how these extensions are better than the built-in solutions.